Call us at (715) 386-9393 today. At Best Chiropractic Clinic in Hudson, WI we take a holistic and natural approach to improving your health and wellness. We provide effective, safe, and natural chiropractic care for the entire family. Our philosophy is that the body is self-healing and self-regulating and the choices you make effect this process. Since 1997, our practice has offered patients of all ages comprehensive chiropractic treatments to not only provide them with much needed relief, but improve their health and wellness. We treat a variety of musculoskeletal conditions, including back pain, neck pain, and shoulder pain. If you are suffering from this sort of pain, it may be sign of a misalignment, which affects your nervous system. Our chiropractors are dedicated to helping all patients get on the path to a pain-free lifestyle, whether you are experiencing back pain, neck pain, headaches, or even muscular tightness and tension. You may be searching for pain relief after an accident, experiencing an injury, or if you suffer from a specific condition like chronic back pain or a spinal condition. Even if you are looking to improve your overall health, our chiropractor can help you attain your everyday wellness goals! Visit our testimonials page to find out what our patients are saying about our Hudson chiropractor and our chiropractic care plans. 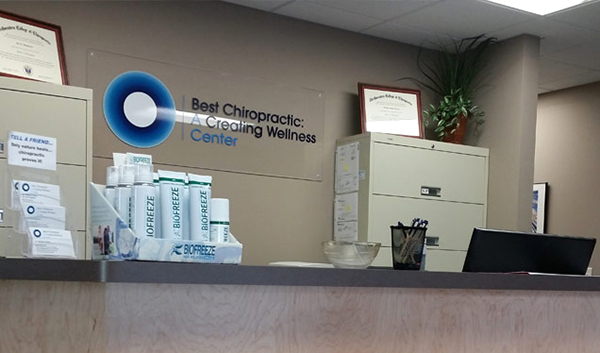 At your first visit to Best Chiropractic Clinic, one of our chiropractors will explain how chiropractic care works and give you a full evaluation to see if our chiropractic solutions are a good fit to address your needs. If there is a good fit, we can customize a plan of chiropractic care for your condition and health goals. It is our mission to create an environment that is warm and welcoming, and provides patients of all ages with the care, education, and support they need to naturally achieve and maintain optimal health. We proudly welcome patients from Hudson, WI and surrounding areas including: River Falls, New Richmond, and the St. Croix Valley. If you have not been to a chiropractor before and want to find out more, please contact us or call (715) 386-9393 to receive the answers to your questions from our experienced team. We also welcome referrals, so we invite you to share our chiropractic and wellness information with your friends and loved ones. I've seen Dr Joel for years now and still am amazed at what problems he can help with. I've been seeing Dr. Matt for three years now. I highly recommend him! He is very caring and wants to do anything he can to help improve the quality of my life. I have had 14 back surgeries and have been very frustrated with medical doctors not knowing what to do to help me, so they recommend surgery or several types of medications. Dr. Matt knows I want to use non-surgical methods, as well as non-medicinal, as much as possible. I can trust his suggestions and am open to giving them a try. Most of the time they have proved to be effective! When my back problems are causing a great deal of pain I can always count on getting relief from seeing Dr Sengbush. He also has recommended a number of exercises that have been helpful. Dr. Matt is very thorough. He listens, cares, and does his best to make sure you get the best care possible! He’s one of the best chiropractors I’ve seen and you can feel the results immediately! I would recommend him to anyone for any kind of pain or injury! Thank you, Best Chiropractic!